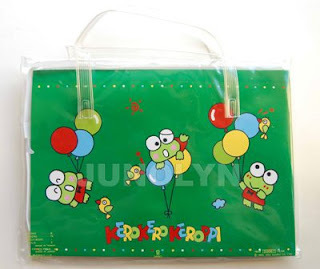 The week is almost near it's end and the only highlight of the week is what I got in the mail: a 1992 Keroppi Marker/Crayon set with two pencils and a sticker sheet. 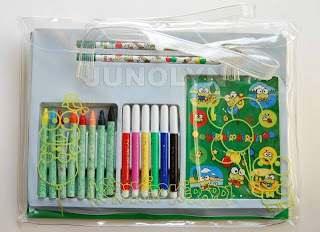 ^ At first I thought I wanted this e-bay auction item for just the two pencils, but I had not realized that it was not just a plastic case with unnecessary stuff (yup, I didn't really pay attention to the description) but a great and rare addition since I love the *balloon* series so much. So, I am really happy that I got a chance to purchase and add this item to my collection. Where in the world is my Momoberry plushie with it's cylinder box? It's been 4 weeks already. I don't want to whine, you guys, but I'm dying to get my hands on this plushie.